NOTE: THE PARAGRAPHS IN THIS COLUMN ARE IN JUMBLED ORDER. PLEASE READ THEM ACCORDING TO THE ORDER MENTIONED. “Cinema has no language,” they say. But, who are ‘they’? I am sure they are the ones who can twist their tongues according to the nativity of any geographical location. The others can exploit their liberty of using .srt files according to the language of their convenience thanks to the miraculously never ending technological advancement in cinema. However, do subtitles really enhance your film watching experience all the time? So whenever there was a comical line on screen, I would laugh before the dialogue was even delivered, the rest of the crowd would laugh a second later and my snail paced friend would roll on his seat in hysteria after the scene was over, earning some cold stares from the young ones and some invaluable pieces of advice from the older ones. Have you ever felt that you are giving too much work to your eye muscles whenever you watched a movie with subtitles? That constant shift of your eyeballs from the top to the bottom of the screen begins to get tiring after a particular point of time. If you do not know the language, you have no choice but to do it. But even if you know the language, your eyes sometimes tend to move subconsciously, causing you to miss little actions and nuances of the actors. The strain gets more if you are watching the movie in a theater and if you are sitting in the front row, it would turn out to be a 120 minute neck exercise. Here, I read the second line before he delivered it, making me lose that connect with the emotions he was trying to ferry across to us. I was watching the Telugu movie Manam with a couple of other friends, out of which one of them was a Telugu speaking guy. The other chap and I appeared to be the only non Telugu speaking people in the entire theater. We however walked into the hall with our faces brimming with confidence as we knew the subtitles would save our day. The interesting element here was that I am a super fast express reader thanks to my extraordinary eye-brain coordination (yes, this is empty bragging), while my friend is on the slower side. However, my extraordinary eye-brain coordination skill holds its sword against me when there are subtitles in movies of languages that my broca’s area can decipher. My hyperactive eyes just cannot refrain from rolling to the bottom, thus playing spoilsport in the meaningful pauses between dialogues. The whole experience is like multitasking between watching a movie and reading a book - in short it’s like flipping through the pages of a ‘book movie’. Nevertheless, I must admit that subtitling is no easy job. Kudos to the subtitlers, who take so much pain in translating content for better understanding of the movie. 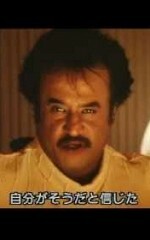 If not for them, the Japanese might not have enjoyed all the punches of superstar Rajinikanth that we celebrate down south. If you have read this column perfectly according to the order I requested you to, you have got the necessary workout for watching a subtitled movie. Now rush to the theaters near you!! !